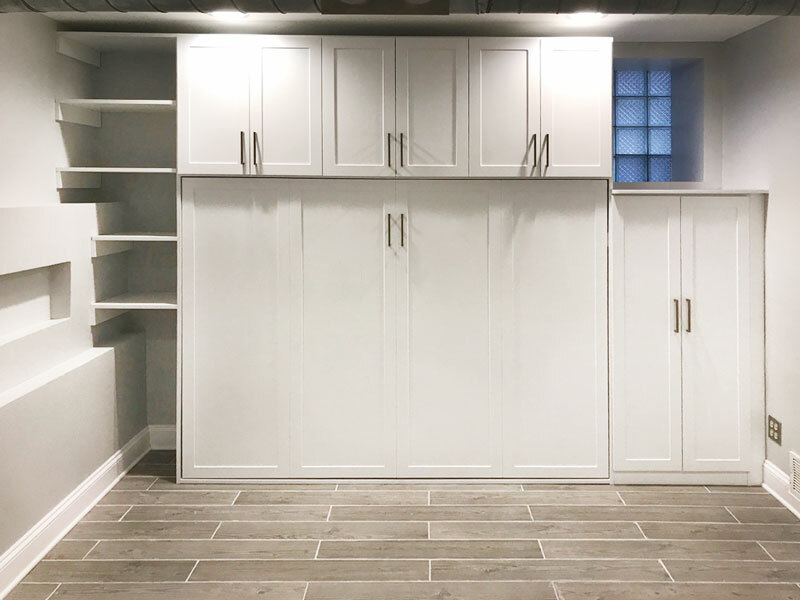 An empty, but tricky space in the basement of this home offered the perfect opportunity for a guest wall bed, storage cabinets, and shelving — given precision and careful planning to handle the unleveled space. 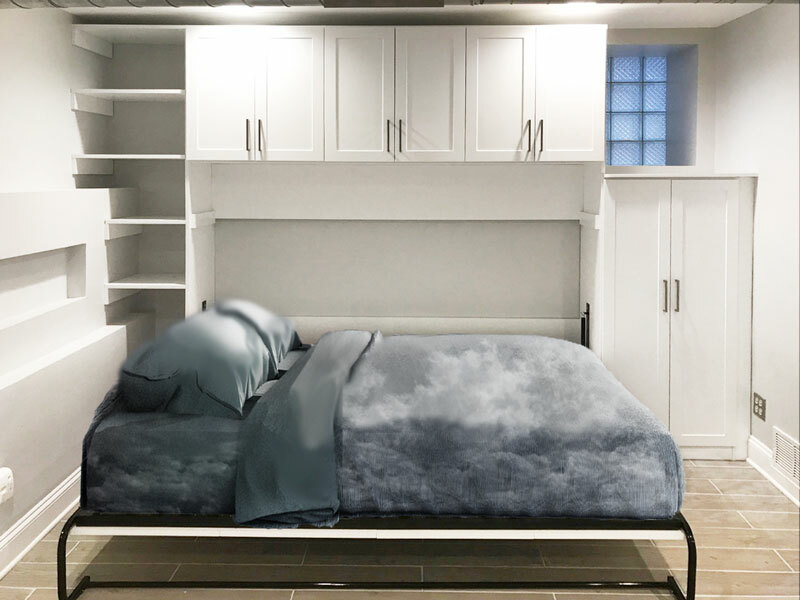 Closet Works managed to tame the space with a variety of construction details including custom fit shelves for the left side of the wall bed, overall height accommodation for a sloping floor, and also a queen-sized horizontal murphy bed to maximize the sleeping quarters. The resulting design truly elevates the space and transforms this basement wall bed design into a cloud nine.